It’s been awhile since you’ve seen me around here regularly. I know, sweet things, I’ve missed you, too. Just a brief update: Pregnancy is going well, and Week 15 begins tomorrow. Nausea is receding, and energy is returning. Can I get a hallelujah?! It feels soooooo good to be back among the living! I promise that come next week, you’ll get several, more detailed updates. But for now, today’s post shall step off the “Court Can Write”-beaten path. Today’s post shall showcase a little bit about something called faith. If you’ve been Faithful Readers (and I know you have, you adorable dears, you), you know that I don’t talk about my faith a whole lot on this blog. The main reason for this is that “Courtney’s faith” is not the reason most of you visit me here. Most of you settle in for a virtual cup of coffee and the reading of All Things Writerly, as well as the occasional, (hopefully) entertaining anecdote. You might even have guessed, based on the themes in these novels, that my own understanding of the nature of that cornerstone has been in flux for the past few years. I don’t want to go into a whole lot of detail, because that would take a whole separate site. What I really want to do is point you in the direction of fellow blogger Frank Viola. To summarize: Viola is a non-fiction Christian author who has written a ton of books, six of which I’ve read and which turned my belief system upside down — specifically so that a bunch of nonsensical traditional junk could spill out. 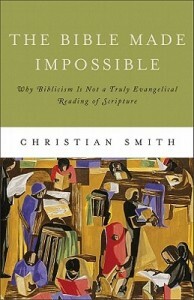 Recently, Viola blogged an interview with author Christian Smith concerning Smith’s book The Bible Made Impossible. I haven’t read the book yet, but what Smith and Viola present in their interview intrigues me. To me, who grew up in a denomination that touts (but does not actually adhere to) the famous line “speak where the Bible speaks, silent where the Bible’s silent,” the book’s title alone touches some chords offers a resonating challenge to a plethora of preconceptions. Some of the things Smith mentions in the interview directly contradict principles I was taught in church my entire life. 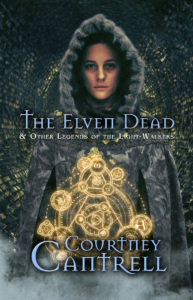 To say this book would blow my mind is likely an understatement. I’m adding it to my To-Read list. You can read the complete interview with Christian Smith on The Bible Made Impossible here. …you’re a believer who has questions about how to approach the Bible. …you’re a not a Christian but have questions about why Christians think/feel the way they do about the Bible. …you’re not a Christian but would like a peek at a “non-traditional” take on a pillar of the Christian belief system. You’re welcome to leave comments here, as always — but I encourage you to comment on Viola’s post as well. The comment threads on his blog generally contain some pretty thought-provoking discussions! See you next week, sweet thangs.